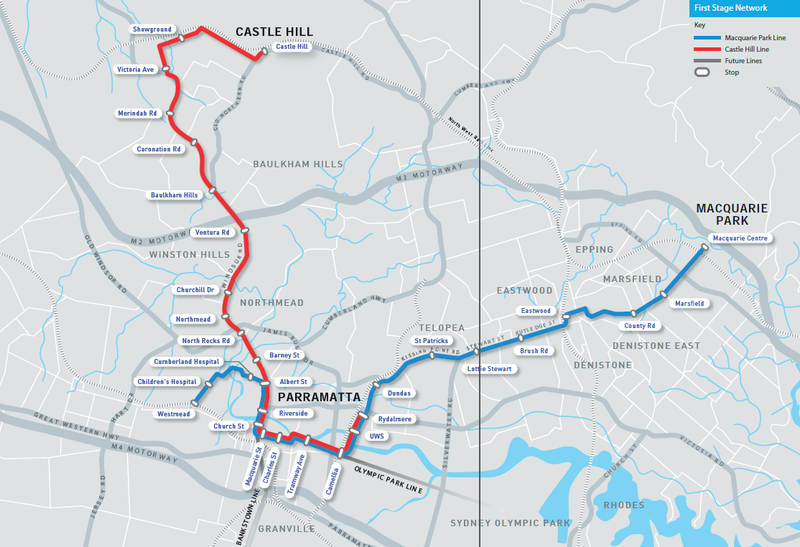 The NSW Government has narrowed down its original 10 potential corridors to just 4 as part of a future light rail line from Parramatta. The 4 options; which would connect Parramatta to one of Castle Hill, Macquarie Park, Olympic Park, or Bankstown; are broadly similar to the 4 options put forward by Parramatta City Council in its feasibility study. There are a number of differences between the Transport for NSW announcement and the original Parramatta City Council feasibility study. None of the 4 corridors include Westmead. Meanwhile the Castle Hill and Macquarie Park alignments proposed by Parramatta City Council (which went via Windsor Road and Eastwood respectively) have not made the short list. Instead, the proposed light rail line to Castle Hill will be via the more direct but narrower Old Northern Road, while the light rail line to Macquarie Park will be via Carlingford. 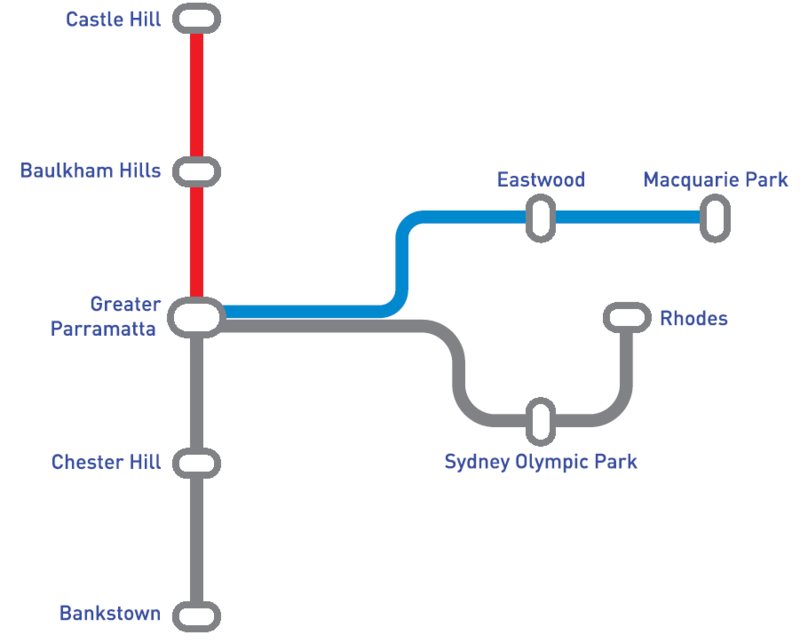 The Olympic Park corridor would also continue to either Strathfield or Burwood, with no indication that it would connect to Rhodes. There remains uncertainty over the preciseness of these plans. They may only be referring to broad corridors, with exact alignments yet to be determined. This is supported by NSW Government documents from March showing a number of potential alignments for a light rail line through Parramatta, some of which connect to Westmead even though Westmead is not listed on any of the 4 options. 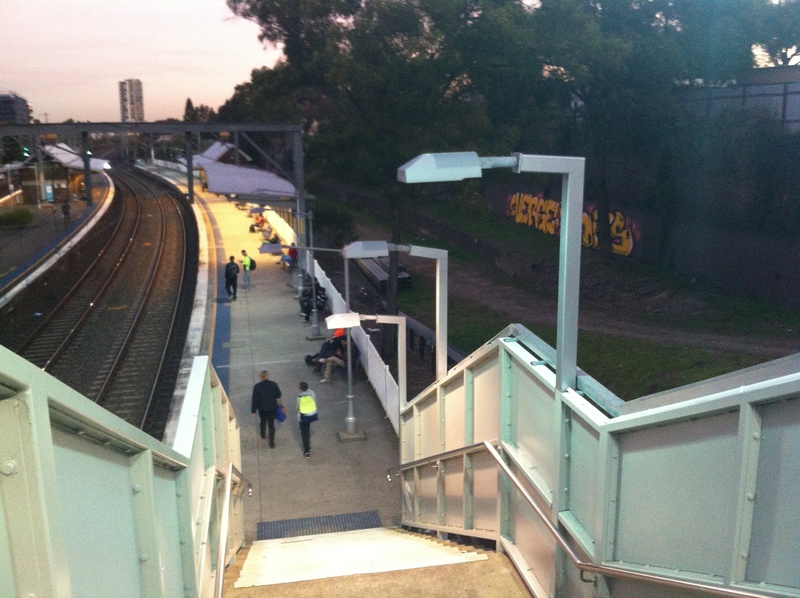 The Transport Minister Gladys Berejiklian has also previously spoken of the importance that the line connect up the health and education precincts in the area. 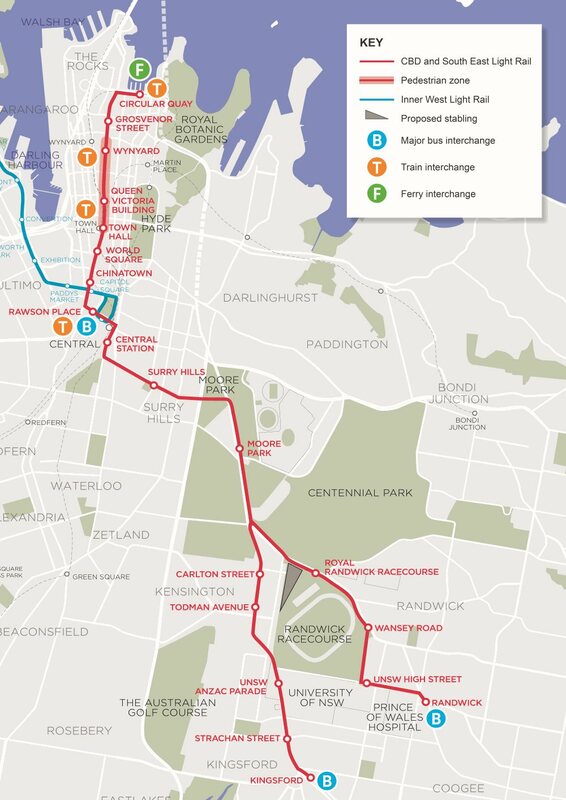 This suggests that the line will not only connect up to Westmead, but also to the University of Western Sydney. This would mean that a line from Westmead to Macquarie Park is the most likely as it is the only line that connects both precincts. Whether this is done via Carlingford or Eastwood, or perhaps ends up connecting only Westmead to Carlingford with a later Macquarie Park extension, is yet to be seen. If the NSW Government really has discounted the option of a line connecting Parramatta to Macquarie Park via Eastwood, then it is a real shame. Of all the options, this one would be the easiest to build – it can utilise the existing rail corridor between Camellia and Dundas, then the road median along Kissingpoint Road, and finally an unused road reservation between Eastwood and Macquarie Park. Parramatta MP Dr Geoff Lee highlights the existing rail corridor as a benefit, and it would be easy to also convert the entire rail corridor through to Carlingford to light rail too. The Carlingford Line usually operates hourly and takes passengers to Clyde, hardly a popular destination. A light rail line, on the other hand, would frequently transport passengers to Parramatta, both a destination in its own right and a major interchange for those continuing their journey elsewhere in Sydney. It will also create rail links that do not currently exist. It would finally provide a rail link between Parramatta to Macquarie Park that has been promised, abandoned, and reannounced so many times that few believe it will ever happen. It will aslo link up Eastwood to Macquarie Park. Epping is already linked to Macquarie Park by rail, and is set to be upgraded to a high frequency metro line. This does not need to be duplicated on the surface. To connect Carlingford and Epping on the surface would be much harder than connecting Dundas to Macquarie Park, given the relative lack of reservations on the former and the abundance of them in the latter. The Government recently extended the global economic corridor. Originally running from the airport to Macquarie Park via the CBD, North Sydney, St Leonards, and Chatswood; it now branches off towards both Parramatta and Norwest Business Park. Norwest is to be connected via the North West Rail Link. Parramatta still lacks this vital link. A light rail connection via Eastwood remains the best option to do this given the Government’s limited resources. Parramatta City Council’s plan is a sound one, the NSW Government should adopt it. The CBD and South East Light Rail’s maximum capacity will be 50% higher than the originally predicted 9,000 passengers per hour in each direction according to the Connecting Sydney consortium that has been selected to build the line. It also plans to complete the George St construction earlier than was initially planned. “The preferred bidder has responded to this challenge with a proposal that ultimately has the potential to carry over 50 per cent more than the 9,000 passengers per hour in each direction previously announced by the government” said Transport Mininster Gladys Berejiklian. She also said that “the proposal offers services that from day one carry up to 15 per cent more light rail passengers in peak hours, and 33 per cent more seats across the day”. However, it will also see an increase in the cost to build by an as yet undisclosed amount. The line has previously been budgeted to cost $1.6bn and was scheduled to open in 2019 or 2020. Construction is set to begin on the George St section after the centenary of Anzac Day in April 2015. 4,300 buses are now Opal enabled, with 1.1 million Opal cards in circulation. The bus rollout is scheduled to be completed by the end of the year, with 5,000 buses in NSW. Opal is operating on all trains and ferried, with Opal to be rolled out to light rail by early 2015. Pensioner Opal cards will be available by the end of the year, however there is no date set for concession Opal cards yet.